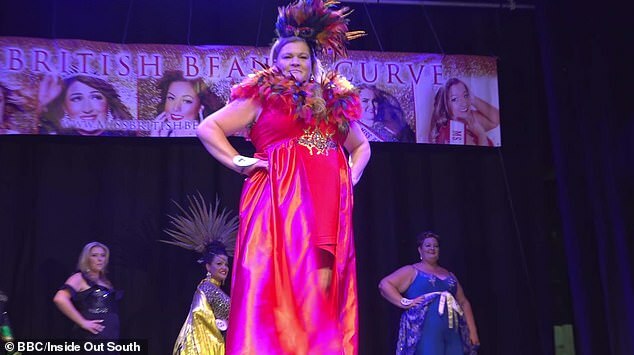 A size 20 teen and her divorcée mum have become the first mother-daughter duo to enter the same plus size beauty pageant. 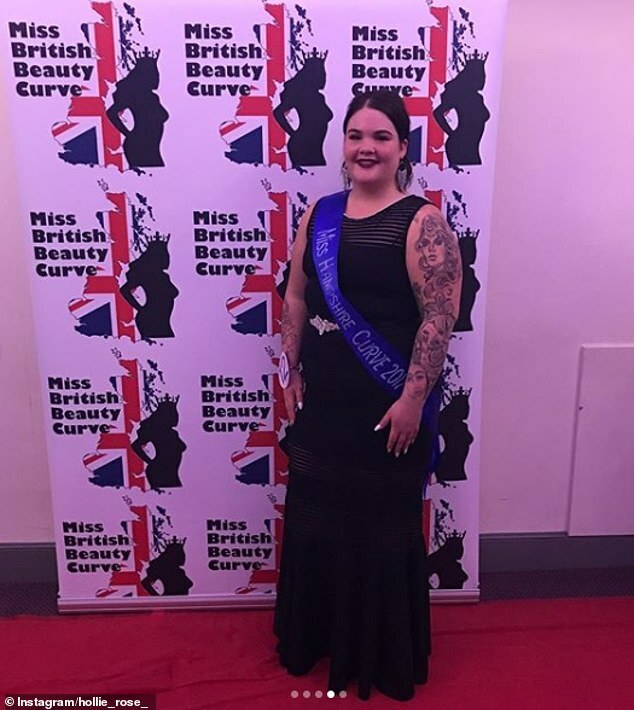 Hollie Jackson, 19, and her mum Debbie, 48, from Fareham in Hampshire, took part in this year’s Miss British Beauty Curve, which only accepts women above a dress size 14. 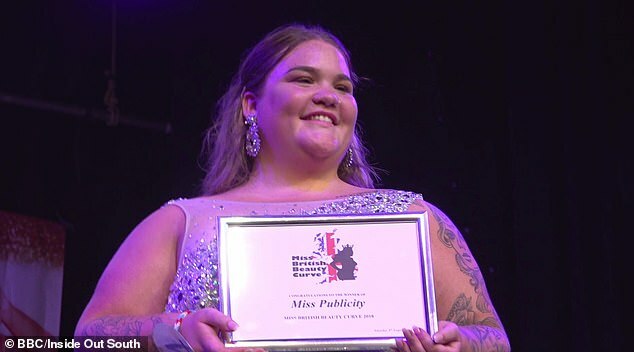 The teenager, who appears in tonight’s episode of BBC One’s Inside Out: South, explained that she was badly bullied because of her weight as a teenager and was even driven to self-harm at her lowest ebb, but now takes part in plus size pageants to ‘fly the flag’ for bigger women. 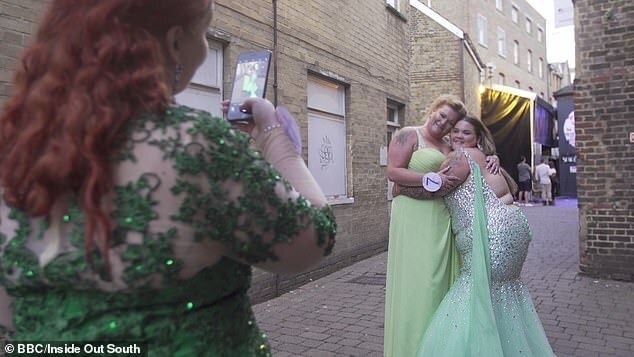 Hollie encouraged her mother, who is also a size 20, to take part in the pageant too in an effort to boost her confidence after she went through a divorce, and says she hoped her mother would realise that she didn’t need to be in a relationship to be happy and enjoy life. 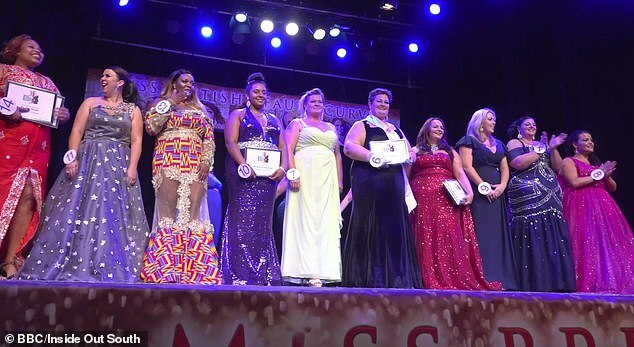 Hollie and Debbie were entered into the Miss category (ages 18-29) and Ms category (30+), respectively, and were the youngest and oldest in the competition. In 2017 Hollie competed as Miss Hampshire Curve and returned this year to further her body positive message – this time bringing her mum along for the journey. She said: ‘I struggled really badly in school with my weight and I was always told I’d never amount to anything. ‘I want to fly the flag for those type of girls, they can go out there and say ”This is who I am”. Especially for younger girls because there’s so much pressure for us to look good and be a certain weight. Debbie praised her daughter’s ‘resilience’ at overcoming her bad experiences on the show, and called her ‘incredible’ for going on to compete in pageants. 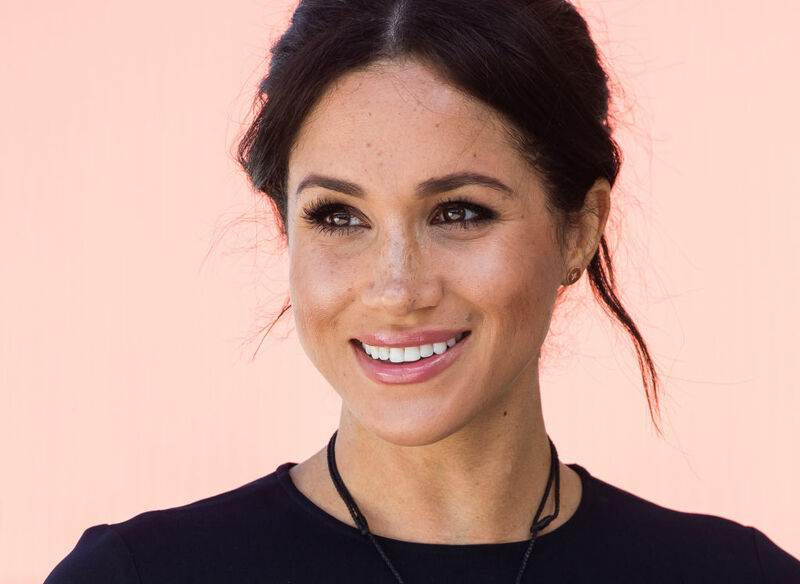 She explained: ‘For all the troubles she had as a child, being bullied and self-harming, she’s actually come out of it such a strong person. To be only 19 and that resilient is quite incredible. Hollie decided to enter her mum into the competition to give her a confidence boost after her divorce. 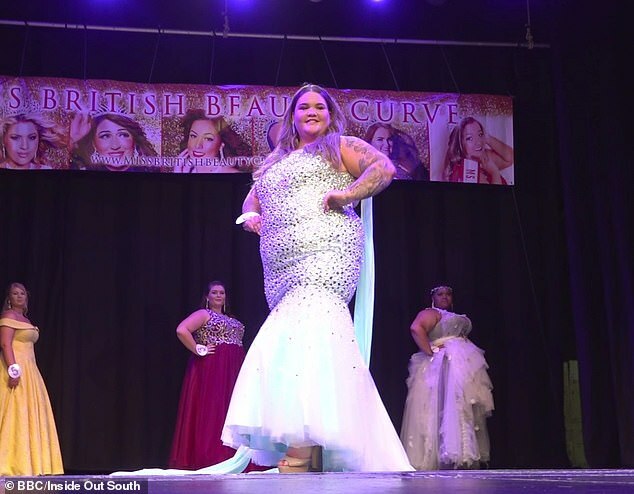 Miss British Beauty Curve started in 2012 with just nine contestants but had 48 women taking part this year. It has swimwear, glitz and glam and evening wear rounds and there is one winner in the Miss, Ms and Mrs (18+ and married) categories. The mother and daughter duo didn’t win the competition but both came in the top 10 for their categories, with Hollie winning a special award for Miss Publicity because she publicised the show in the BBC documentary.